September | 2016 | 50 Westerns From The 50s. Coming Soon: The Joel McCrea Blogathon. 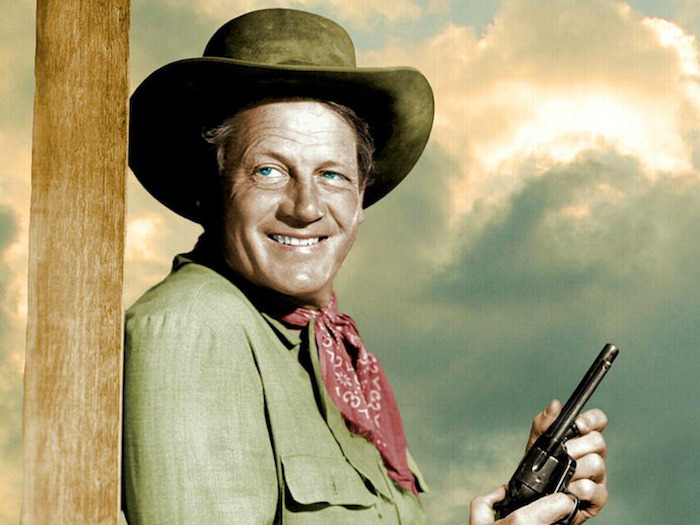 Joel McCrea stands tall as a true icon of Hollywood’s West. Before becoming so associated with cowboy pictures, he appeared in classics like Most Dangerous Game (1932), Foreign Correspondent (1940) and Sullivan’s Travels (1941). Let’s mark what would’ve been his 111th birthday, November 5, with a celebration of his work. • Pick a McCrea picture. Any one will do. • Let me know you want to participate (email fiftieswesterns@gmail.com), what you want to cover and when you plan to post it — Friday November 4th through Sunday the 6th. Your posts can be in any form, of any length, and on any topic as long as it relates to McCrea, but I’d like to manage things a bit to make sure we don’t end up with 14 people writing about the same thing. • Post your piece on the scheduled day, using the official blogathon banner and link (to come). • Send me the link so I can post it on the master list. 50s Westerns Blu-Ray News #225: Johnny Guitar (1954). I’m gonna make this quick because time’s running out. 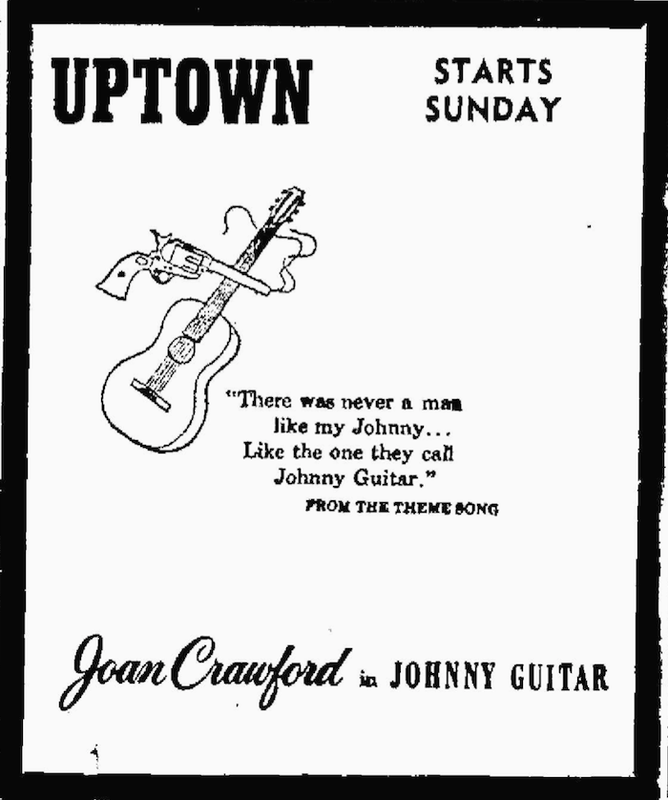 Olive Films’ Signature Edition of Nicholas Ray’s Johnny Guitar (1954) comes our tomorrow. Today, the pre-order price at Amazon is only $16.99 (the list price is $39.95). 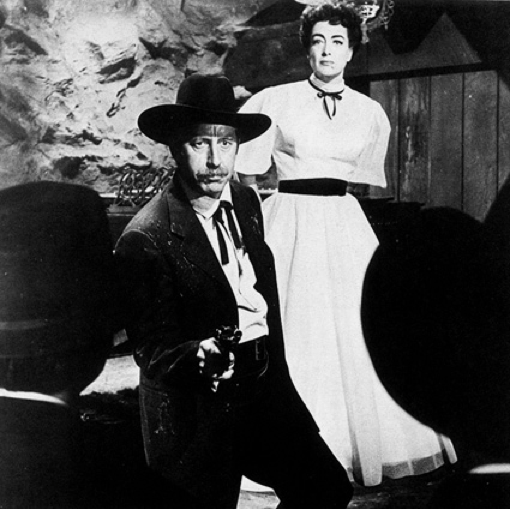 Get the new Blu-Ray of Johnny Guitar, or Frank’ll let you have it. Watched it over the weekend, and I really urge you to get it (a real review will be coming soon). Don’t have a Blu-ray player? Well, now’s the time. This thing’s incredible. As much as I love this movie, seeing it in hi-def and its proper 1.66 framing, I love it even more. Essential. Henry Hathaway At The 54th New York Film Festival. 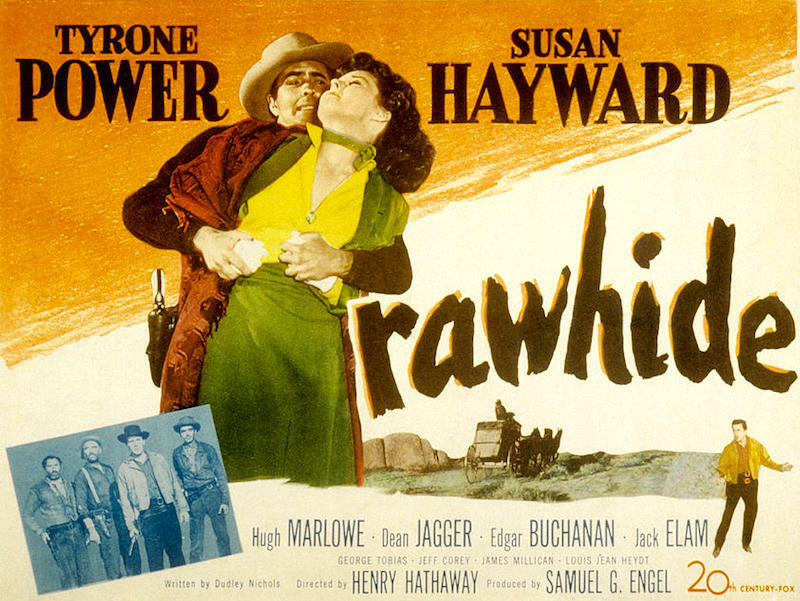 The lineup for the 54th New York Film Festival — which runs from September 30 to Octoebr 16 — includes a terrific Henry Hathaway retrospective that doesn’t skimp on his Westerns. Starring Don Murray, Diane Varsi, Chill Wills, R.G. Armstrong, Jay C. Flippen, Harry Carey, Jr. 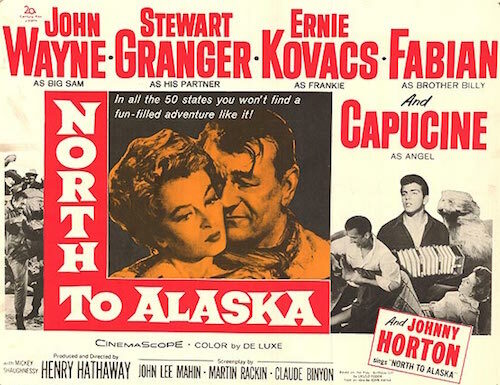 The Shepherd Of The Hills (1941), Kiss Of Death (1947) and Niagara (1953) are among the other Hathaway pictures being shown. Good stuff. The restored One-Eyed Jacks (1961) is also part of the festival. I can always count on this blog to be a total joy to work on — except for when it comes to posts like this. 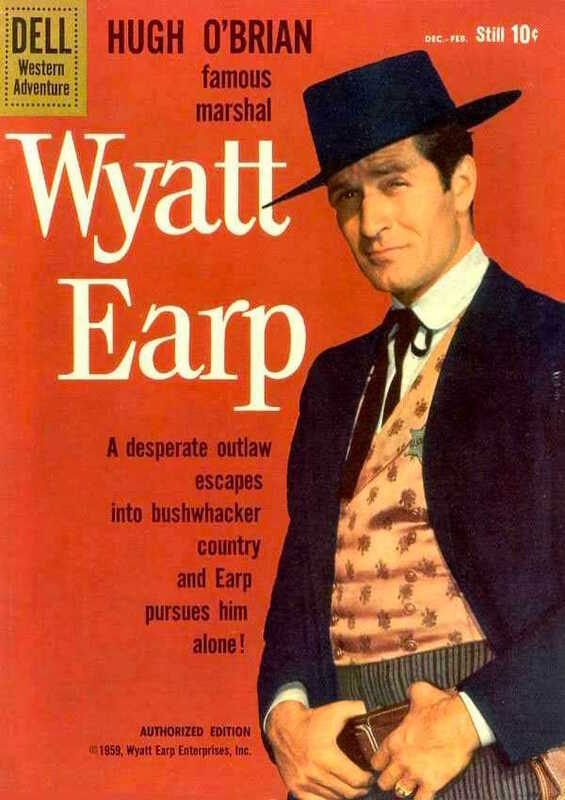 Hugh O’Brian, who for so many will always be TV’s Wyatt Earp, has passed away at 91. Before making his way into movies and TV, O’Brian — whose real name is Hugh Charles Krampe — dropped out of college to fight in World War II. At 17, he became the Marines’ youngest drill instructor. 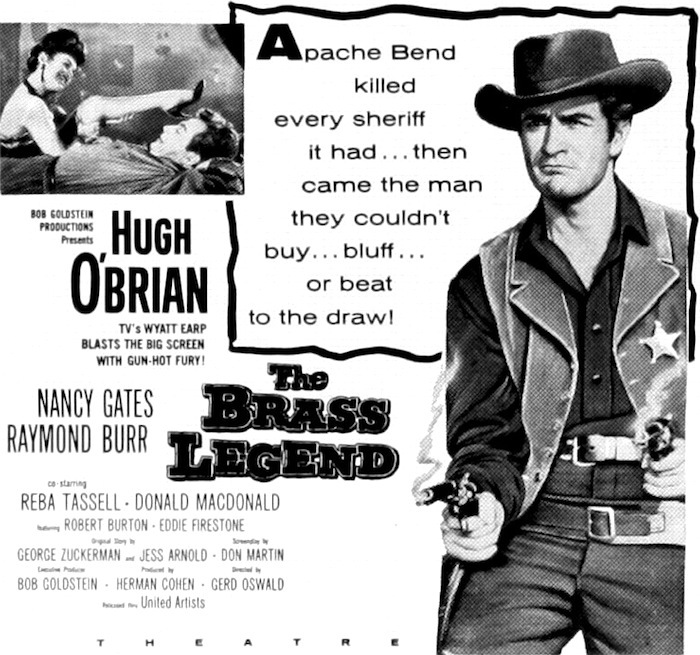 O’Brian appeared in a number of Westerns before landing the Earp role, from The Return Of Jesse James (1950) to The Lawless Breed (1953) to The Brass Legend (1956). He’d go on to appear in The Shootist (1976). He was tremendously dedicated to the Hugh O’Brian Youth Leadership, a non-profit leadership development program for high school kids.